This 4.39 AC lot has 250 Ft frontage on W 56th Ave, sewer to site and is ideal to rezone for high density multi units or mini storage. 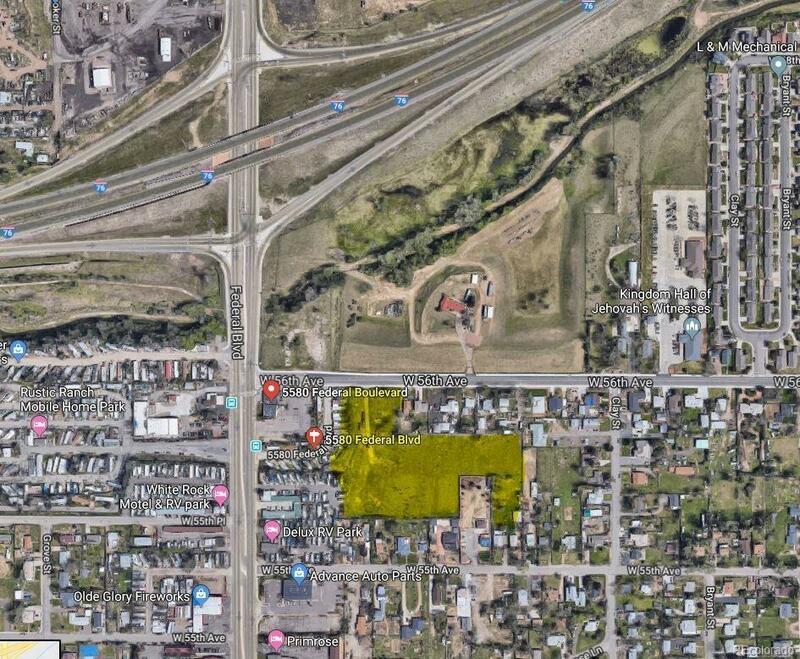 Easy access to I-76, and Federal Blvd; 12 minutes to Downtown, 30 minutes to DIA.Call Listing Agent for more info or how Seller can participate in development. Offered by Hernandez & Associates Brokerage Llc.